The writer is not the infamous Stephen King antihero Mort Rainey, but the far more nefarious author of the novels Dark Shadows: Dreams of the Dark (with Elizabeth Massie), Balak, The Lebo Coven, The Nightmare Frontier, Blue Devil Island, and The Monarchs (forthcoming from Dark Regions Press); four short story collections; and over 90 published works of short fiction. 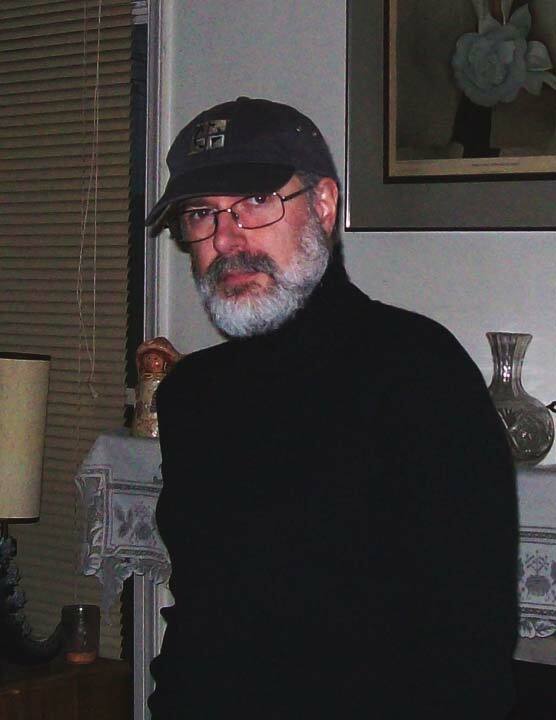 Those with long memories may recall that Stephen Mark Rainey edited Deathrealm magazine, from 1987 to 1997. In its decade-long history, Deathrealm won a bunch of nice awards and featured hundreds of short stories, poems, and essays by authors ranging from the most established professionals to young, aspiring first-timers, many of whom proceeded to carve out names for themselves in the horror/dark fantasy field. In 2004, Stephen Mark Rainey edited a new anthology for Delirium Books, titled Deathrealms, which features a selection of short stories from the magazine. He has edited a couple of other anthologies as well. The Song of Cthulhu (Chaosium, 2001) features 20 stories of Lovecraftian horror, and in 2006, he co-edited (with James Robert Smith) a new anthology for Arkham House titled Evermore, which features short stories about Edgar Allan Poe. In summer, 2008, Dark Regions Press released a new collection of Stephen Mark Rainey’s short fiction, titled Other Gods, featuring 16 of his tales, including one never-before-published story (“Antidotes”). Dark Regions plans to release another collection of his short fiction, titled The Gaki & Other Hungry Spirits in 2011. He has a number of new dark and delightful tales coming down the pike. Stephen Mark Rainey lives in Greensboro, North Carolina, with a passle of Damned housecats, and over the past year has become an avid Damned geocacher. You can find all Gothic.net articles and fiction relating to Stephen Mark Rainey at tag Stephen Mark Rainey.